IPL is not Indian Police League; When oh when will Sonia meet the media? What will the BJP do? The Congress party hopeful of 2004 in 2014. Sheela Bhatt, who attended the United Progressive Alliance's fourth anniversary event on Wednesday, shares some gupshup picked up from 7, Race Course Road. It was a miserably hot summer evening and not many guests were invited by the Prime Minister's Office to release the report card of the United Progressive Alliance's four years in office. 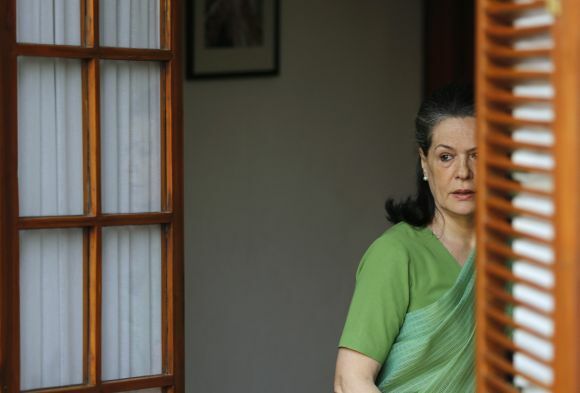 Much before Prime Minister Manmohan Singh and Congress President Sonia Gandhi arrived on the lawns of 7, Race Course Road, where the event was held, talk among journalists and politicians was only about the Indian Premier League. Rajdeep Sardesai of CNN-IBN won hands down in chatting about it and holding everyone's attention with his masala tales on the IPL fixing scam. Rajdeep, one of India's most well-known television anchors and son of former Test cricketer Dilip Sardesai, always has spicy insights on cricket and politicians. He even performed the difficult job of making Rajiv Shukla, journalist-turned-politician-turned-minister-turned-IPL boss, nervous while giving his assessment of the direction in which the Mumbai police investigation led by Joint Commissioner of Police (Crime) Himanshu Roy is moving. Shukla tried hard to defend Sardesai's googly by saying, "IPL is now Indian Police League!" When Sardesai gave some hint of how the police can reach the door of one India's best cricketers of this decade, Shukla tried again to take the sting out of Sardesai's talk. He said, "I have heard the police are also looking into some sports journalists' nexus with the bookies!" After this Shukla, an amenable person with a short attention span, moved on. It's quite a predictable activity for journalists to pose questions to the Gandhis or Dr Singh. I asked Sonia Gandhi when she will be meeting the media. She paused and then said, "Hmmm... Not yet decided." When I asked the prime minister, "Don't you think now there is not enough time left to do big things?" He said, "Where there is a will, there is a way." The function meant to release the report card was ceremonial but the audience didn't miss the seating arrangement on the dais. 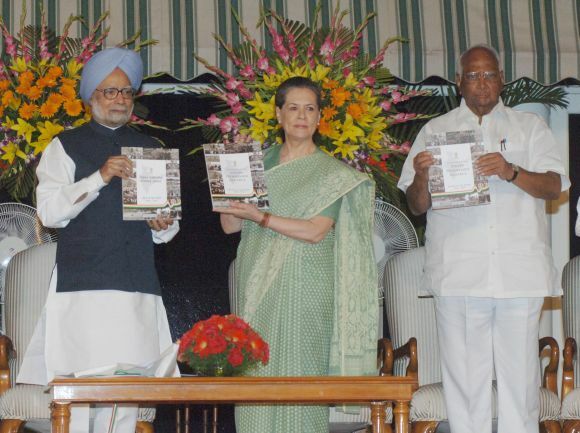 To the left of Prime Minister Singh was not Rahul Gandhi but Defence Minister A K Antony. Rahul was in between Antony and the ambitious P Chidambaram. The Congress party never takes the issue of seating arrangements on the dais lightly. In the eye of the Congress, as we already know, after Dr Singh comes Antony and then Rahul Gandhi followed by PC. Home Minister Shushilkumar Shinde was absent due to his visit to the USA so no one knows where he would have been given a kursi. Rahul Gandhi, the eternally reluctant Indian politician, played a neat trick on journalists. To avoid spending a longer time with the media he spent a hell of a lot of time with his 'guru' Antony after the release of the report card and before dinner. Now, the all-powerful Congress vice president can talk to India's defence minister and first-in-line-in-seniority-to-PM within the Union cabinet anytime and as much as he wants. But why use public time? However, Rahul talked to the media just a little and gave predictable answers. He blamed the Opposition for spreading the perception that there was a rift between the party and the prime minister. Journalists can be very boring and predicable many times. Even knowing the predictable answer, we still asked Rahul if he will take over as prime minister ahead of the 2014 election. "I have several times made my stand clear on this issue," he said and rushed to the table where his mother was dining. It is impossible not to notice his reluctance to share his views with the media. On the lawns of the prime minister's residence, for the last nine years, journalists, senior and newcomers, all gherao Dr Singh, the Gandhis, ministers or Congress leaders, quite awkwardly and almost crudely. Whoever is ready to share their view giving the illusion that they are being frank, will have the media thronging around them. Telecom Minister Kapil Sibal gets full marks for mastering the art of saying nothing but speaking non-stop for 20 minutes before 20 journalists. In the Congress party, Ahmed Patel (too mild-mannered a leader who makes it difficult for journalists to confront him) has the most difficult job. He is the man who will have to find political allies before and after the election to counter the National Democratic Alliance's moves. An uphill task for sure. In a gathering in the fortress-like-security-conscious New Delhi where Dr Singh, Sonia Gandhi, Chidambaram, Antony and other leaders are present, one can ask only so much; one can chit-chat only so much. But, mostly, the talk is light and cheerful. Like, we heard on Wednesday that in Delhi many politicians have nicknamed the one and only Arnab Goswami 'The Nation'. A senior journalist of a television channel shared how Congressmen has nicknamed one of the most powerful Congress strategists as "Patthar ke sanam" -- the best one heard since years about this low-profile and mild-mannered leader. 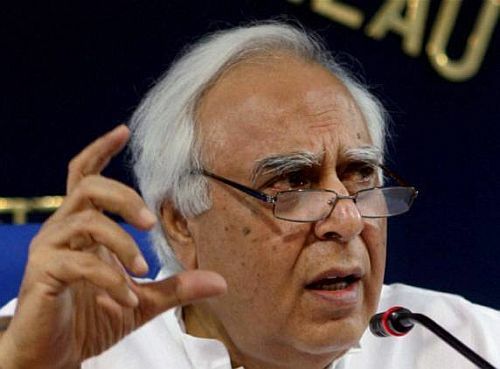 Sibal has nicknamed the Aam Admi Party as Aadhi Adhuri party. Sibal is directly affected due to Arvind Kejriwal's Delhi-based political activities. 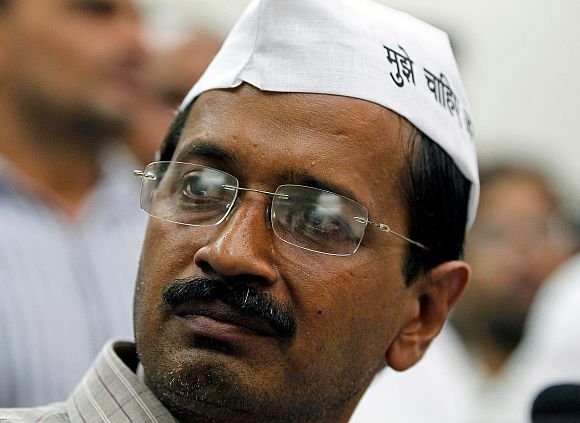 Nobody is sure if Kejriwal's party will cut into the BJP votes or Congress votes but many Congressmen think that Kejriwal will ensure the defeat of Sibal from Chandni Chowk if he stands from his constituency in the next Lok Sabha election. Okay, now I am sure, you want to know how depressed Congressmen are as power seems to be slipping out of their hands after a good nine years. Those who fiercely criticise the Congress sometimes forget that the party has a momentum of its own in spite of its failed leadership and it enjoys the advantage of a fantastic 128-year-old history behind it. Even in the midst of the ruckus, Janardan Dwivedi, a Congress politician in the classical mould and chief of the party's media department, shows how there are ways of surviving political downturns. He told the media, "We know where we stand. There is no reason to worry." No Congressman will say so but all eyes are on the Bharatiya Janata Party, Uttar Pradesh and the Muslim votes. The Congress is waiting for the BJP to decide the fate of Narendra Modi. If the BJP gives the Gujarat chief minister the top slot to lead it in the 2014 election then it will be a mixed bag for the Congress. Only lately, after the Karnataka results and the 'feku' label sticking to him in cyberspace, Congress leaders have come out of the mindset that Modi will pose insurmountable challenges. The Congress view is that Modi aide Amit Shah's appointment as in-charge of the most crucial state of Uttar Pradesh for 2014 suggests that the BJP is set to evoke Hindu sentiments. 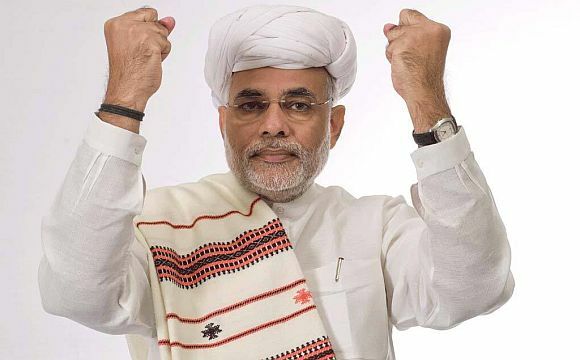 By default Muslims will go to the Congress and not the Samajwadi Party because the Congress is in a better position to thwart Modi from becoming the prime minister. This simplistic thinking is dominating Congress circles these days. However, there is one question confident Congressmen do ask that requires a studied response. "Tell me, how and from which states will the BJP get the required seats to form the next government?" They also say that rural India is not yet affected by the media bashing of the Congress and the UPA. Third, they are confident that the situation that prevailed before the 2004 election will prevail before the 2014 election as well. Even today, the Congress is confident of getting what it got in the 2004 election -- 145 seats. If they could cobble a majority under the UPA umbrella then, why not now? The Congress believes that if Modi is around and staking a claim for the prime minister's job then they have a better chance to claim a third term as political parties which are dependent on secular votes will have to keep away from the BJP. 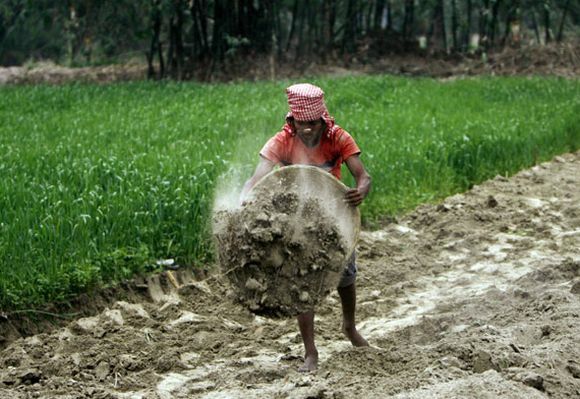 It's no surprise that many Congressmen were of the view that the finance minister and the agriculture minister can still change the future of the UPA. It is a unanimous view within the party that Chidambaram is the most active and hardworking minister. He is focused and trying his best to improve the economic parameters. He keeps telling the media that in the coming six months, if the government survives, he will bring in more reforms than the country has seen in the last four years. Inflation is coming down, investment is slowly increasing, the monsoon is likely to be normal. Two Congress chief ministers told rediff.com that the 'mahaul' (atmosphere) is depressing for the party because the agriculture sector has not performed well. Else, they say, the government has performed as much as it can in view of the international economical downturn. But the core group of the Congress -- meaning Dr Singh, the Gandhis, Ahmed Patel, Antony and Chidambaram -- is keeping its focus sharp on the one belief that 'rural India' is still their core constituency. Sonia said so differently. When asked about the UPA's performance she said, "I am happy with the work done (by the UPA government). Only Dilliwalas don't know about it." And, those fanatic Congress critics should know that there are enough people in the Congress who know well how the country is moving towards personality-based politics. The serious issues are given importance only if the leaders are articulating them well. A senior Congress leader told rediff.com, off the record, that, "When the country's youth is turning the coming election almost into a presidential kind of race we have a lot to worry. How can we face election with Dr Singh, who looks confused and baffled, at the helm of affairs?"